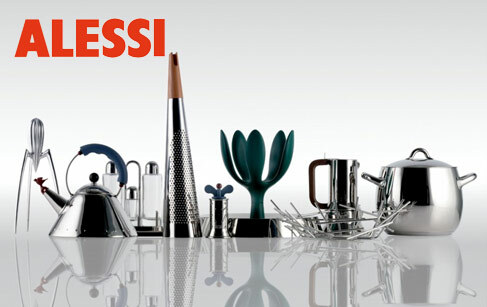 A true family business, Alessi has been one of the leading companies of the Italian design since 1921 when it was founded by Giovanni Alessi, near Omegna on the Lake Orta. Giovanni originally bought the Alfonso Bialetti's alluminum wielding workshop without knowing that one day, their two brands would become "family" when Alfonso's daughter would marry Giovanni's son. 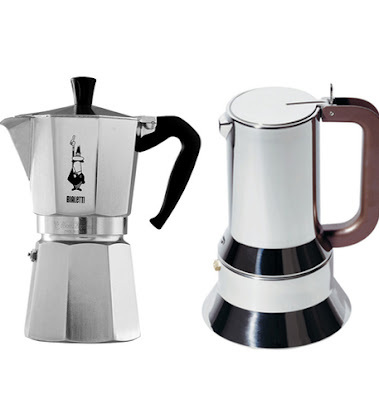 Back in the 1920s, Alessi specialized in small kitchen gadgets and tools made of metal, chromium, nickel and silver-plated brass. Giovanni's son, Carlo introduced the concept of design to the company's products. 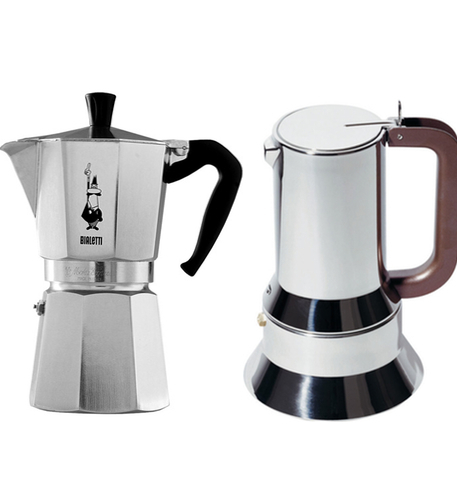 Trained as a industrial engineer, Carlo became chief designer and in 1935-1945 he developed all the staple Alessi concepts we know today. Giovanni's brother directed the company in the 1950s and his brother Ettore introduced external designers to the company. At that time Alessi produced many products for hotels and one of the most famous objects was the shaker designed by Luigi Massoni and Carlo Mazzeri, in 1957. 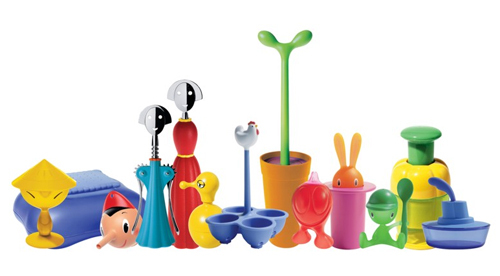 The Alessi Ice bucket and the Ice tongs together with the shaker were exhibited in the Milan Triennale, the famous design museum and exhibit. However, because of WWII, it took a while before the general public could afford buying designer's objects. In the 1970s, Carlo's son, Alberto led the third transformation of the company with the collaboration of many famous designers such as: Richard Sapper, Alessandro Mendini and Ettore Sottsass whose works are now in the world's design hall of fame! 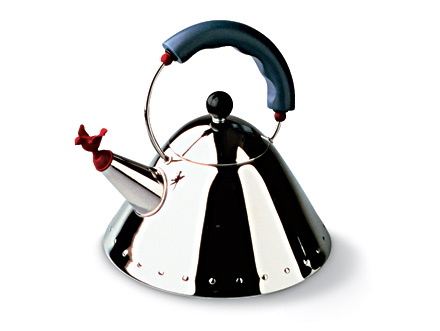 The 1980s saw more collaborations with other designers whose items have been topsellers such as: Graves' kettle with the bird whistle and Sapper's two-toned kettle. Plastics came in the 1990s to fight the low-cost competition and allow the designers more freedom to create. Metal though was till part of the Alessi world and new collections came out of new designers' minds. Architects were invited to collaborate in the 2000s to design limited editions collections suche as the coffee and tea towers. The Campana brothers created the fascinating Blow up series with different objects that look like they are made of metal pieces that fell apart. Officina Alessi is the more exclusive and innovative division with limited edition series. 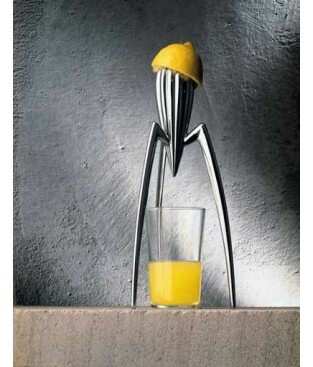 I've always called this "the spider", just a genius design by Philippe Starck! Now you know it, whenver you see an Alessi obejct you'll see a piece of Piedmont, of our vision of life, art, design and engineering.